Looking for tilt and turn windows in Kent? Well, Secure Style have the latest UPVC double glazing and years of experience to provide you with exceptional tilt and turn windows. Innovative in design, Tilt & Turn windows enable you to maximise light within your home whilst providing you with a high level of security. These windows open inwards as well as outwards, enabling you to fully ventilate your home without exposing your home to intruders. 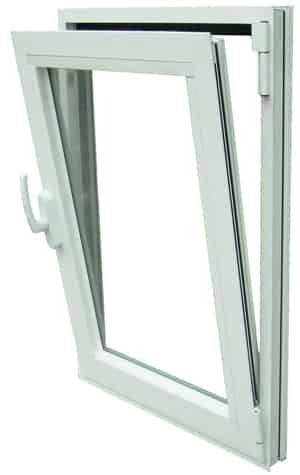 The side hinges allow the window to swing inwards, allowing you to clean the outer panes from the safety of your home. Ideal for both ground floor properties and high rise buildings, these windows offer a safer alternative to traditional windows, allowing you to clean with ease. Secure Style pride themselves on installing only the very best UPVC tilt and turn windows for your home in Kent and the surrounding areas. An great choice for a variety of properties, particularly high rise apartments due to the fact they offer an easy cleaning function from the inside of your home. An ideal choice form both contemporary properties and traditional homes. Their turn function of 90˚ creates additional ventilation as well as natural light to enter your home. designed with you in mind as they are perfect for blocking out any unwanted external noise and reduce the amount of heat loss. The 180˚ tilt operation allows for the side hinges to open the tilt and turn window completely to provide easy cleaning of the outside of your window from the comfort of your home. Thanks to the wide opening operation they create a fully functional fire escape in case of emergencies. A highly desirable contemporary window that will help you benefit from the greatest Energy Efficiency and stylish design features. For superb thermal efficiency, each of our UPVC tilt and turn windows come with the greatest A+9 Rated energy efficiency to make your home much warmer and for noticeably longer periods of time. 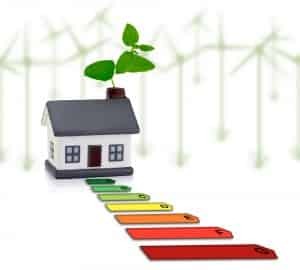 Energy efficient windows will allow you to reduce the amount of time you have your heating switched on which will therefore reduce your fuel costs. Their unique design offers an air tight seal when closed to help lock in as much warmth as possible and to lock out any cold spots or draughts that you may have previously experienced. Reducing the amount of natural resources is important as is noticing the environmental impacts old an tired windows can cause as you have to have your heating up higher and higher to compensate. Choosing our tilt and turn windows will will make your home in Kent much more environmentally friendly. If you’re concerned about security levels then you can put your worries aside. A tilt and turn window from Secure Style is highly secure and comprises the greatest safety level available. For slight ventilation over night the tilt function allows you to leave your windows open enough to let fresh air in but not enough to become a target for unwanted intruders, so you can sleep easy at night. A wide range of colour design options are available for you to find the perfect match for your property. Choose from a classic white UPVC to match your conservatory of perhaps a more adventurous Oak finish that would look great on a more period property.